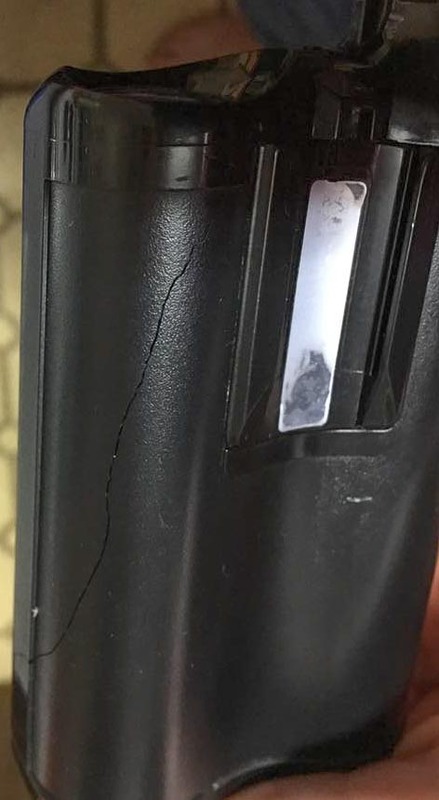 We seem to be seeing another rash of people reporting cracks in their “waterproof” Medtronic 640G insulin pumps. 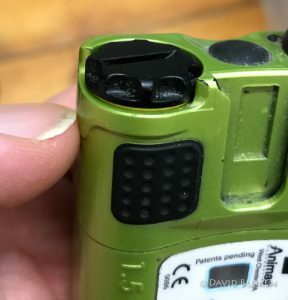 Medtronic keeps replacing them under warranty, although we do see some people complaining of things like that it’s the 5th time this has happened to them. Clearly this pump is no longer waterproof! As noted in my earlier article on waterproof pumps, the manufacturers give warnings about checking your device for cracks before assuming that it’s still watertight. We saw quite a few reports of this back in summer, and some people wondered if the heat had anything to do with it. Maybe it was sudden changes in temperature between days of over-40˚C and sub-20˚C. Now we’re in the depths of winter. Of course it is possible that Medtronic has had some manufacturing issue which may have made some pumps particularly susceptible to this problem. However, we as users also need to make sure we’re treating the pumps properly, as we might have some responsibility too. It’s worth noting that this arrangement of not tightening the battery cap further than that “horizontal” slot alignment also applies to the earlier Medtronic Paradigm and Veo pumps. This issue is not unique to Medtronic. Over time some Animas Vibe pumps have also developed cracks (which very clearly leave them no longer waterproof). 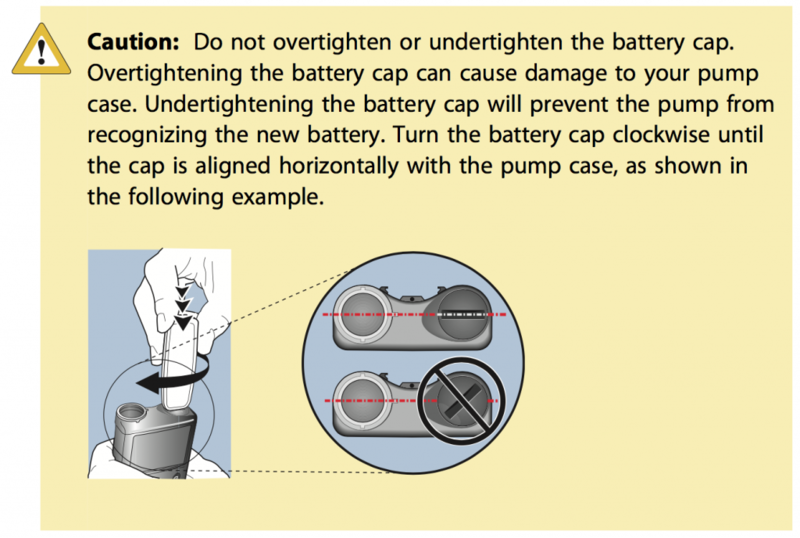 It’s worth noting that Animas also advise to not overtighten the battery cap. With the Vibe cap there’s a yellow ring seal in the cap. Once you can no longer see that yellow, it’s time to stop tightening the cap! In this image you can just see the yellow between the black of the cap and the green of the pump body. Turning the cap another 15˚ or so would be all that’s required: no more! To protect my pumps I keep them in thin sleeves (usually soft silicone) to help protect them against bumps and scratches. But I always make sure I don’t overtighten the battery/reservoir caps. That way if there is a crack in the pump I can be confident when talking to the manufacturer that it wasn’t my responsibility.